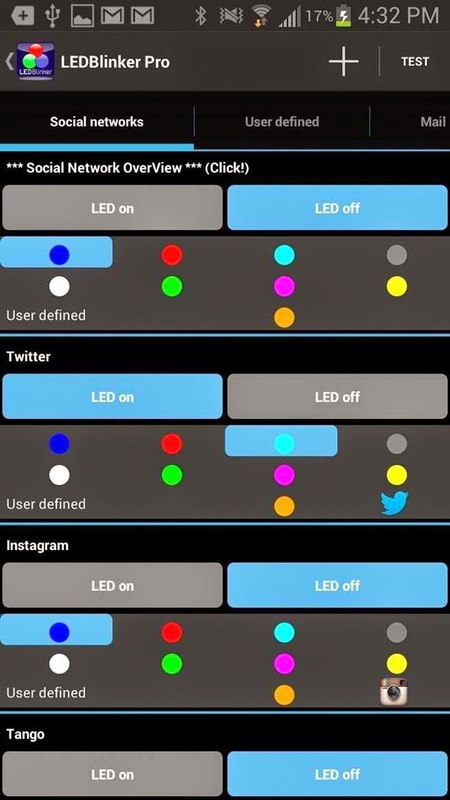 Normally, Android devices are designed with built-in RGB LED light that flashes depending on the phone's pending notification. The concept is akin to that of the new Samsung Galaxy S5 LED notification lights. You can also modify/change Notification settings on your Galaxy S5 device. Here is how to edit which types of occurrences or events your S5 smartphone should notify you on. 3. Touch Display to get to the phone's display options. 4. Touch to select LED Indicator. 5. Mark the events/activities you want your device to notify you on.